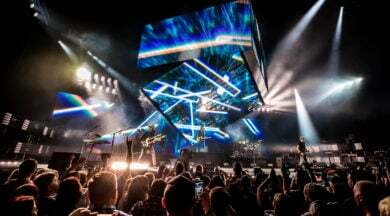 After playing France’s small/medium concert venues and festivals, French rock band LES INSUS, made up of former members of Telephone – Jean-Louis Aubert, Louis Bertignac et Richard Kolinka – are now taking their 2016 tour on the arena circuit. 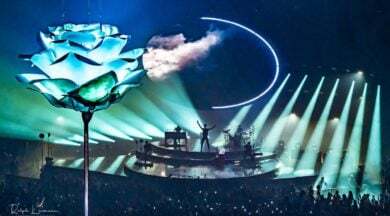 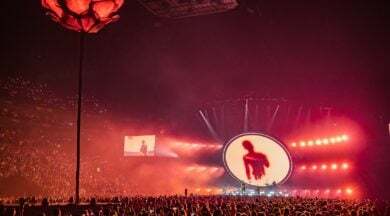 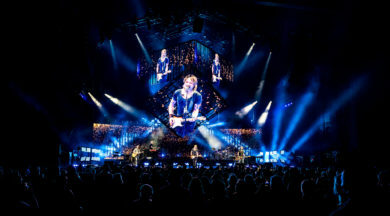 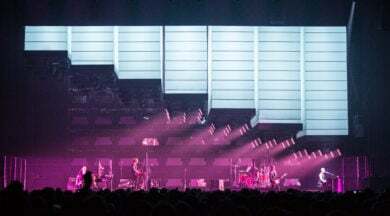 Their stage design features ten Ayrton WildSun™K25 LED washlights, the large-scale white-light fixtures that were developed by the French manufacturer for creating a full daylight effect in stadiums and large venues, as an automated alternative to conventional HMI Fresnels. 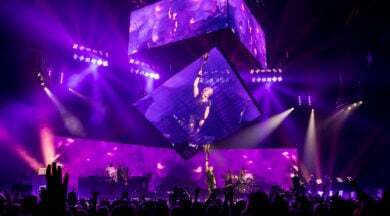 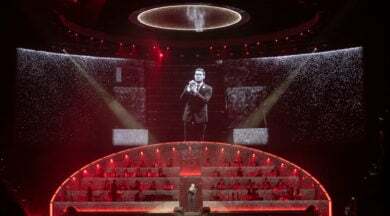 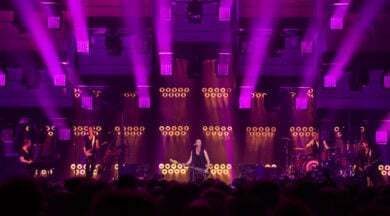 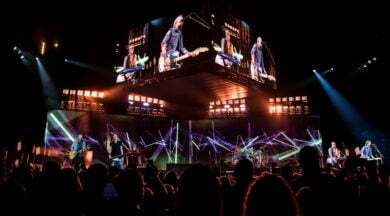 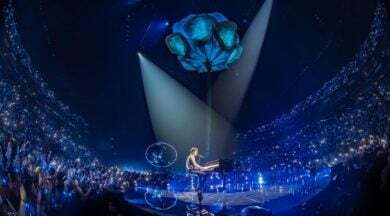 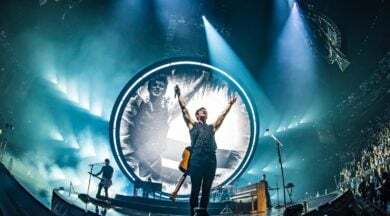 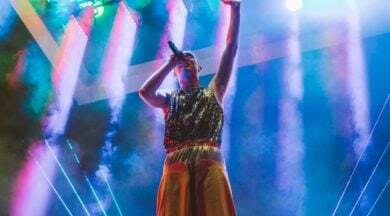 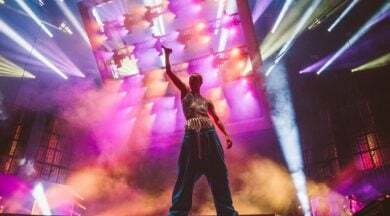 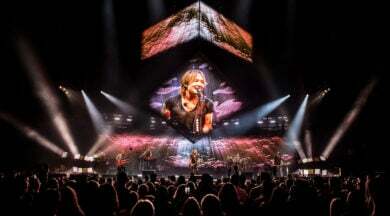 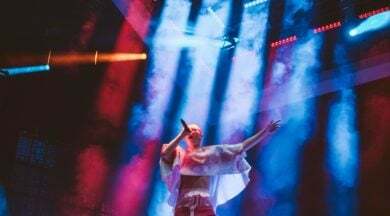 French lighting designer Dimitri Vassiliu (who often flouts conventional uses of lighting equipment…) had other plans when he decided to use WildSun™K25 fixtures on this tour, which has equipment supplied by entertainment lighting vendor, Dushow. 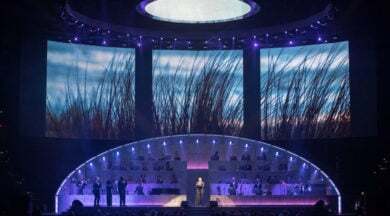 While it may be really ideal for lighting concert halls, this attractive marvel is being used here to shower the audience in brilliant white light – without blinding it. 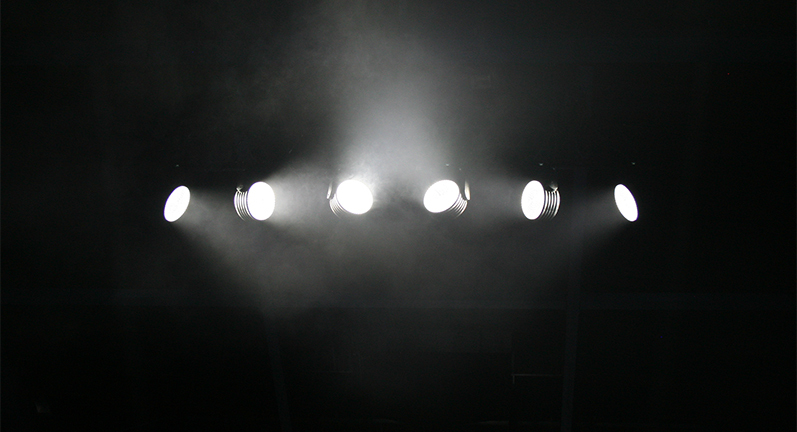 WildSun-K25 has 217 LED emitters with a 10° to 60° zoom optics, arranged in nine concentric, individually controllable, rings – all mounted on an automated yoke. 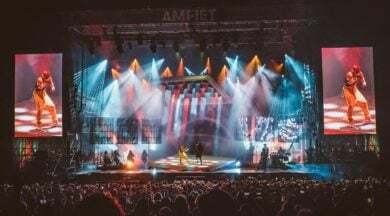 Dimitri Vassiliu: Since LES INSUS interact and communicate with the audience a lot during their show, I wanted it to be really well lit – so the performers could see the people. 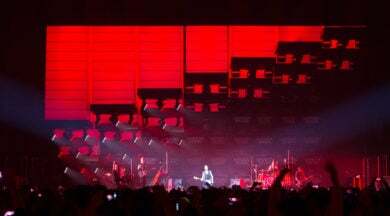 But I didn’t want to blind the audience, which would have prevented them from seeing the musicians… so, the K25s were exactly what we needed! 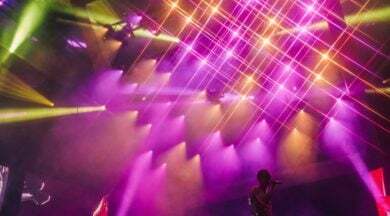 What’s more, I was getting tired of using Molefays…! 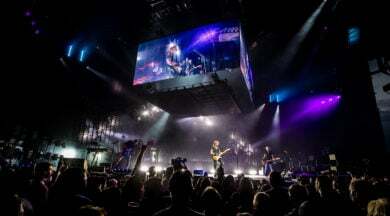 Hanging conventional white-light units on trusses over the audience can be time consuming and inefficient in terms of lamp replacement, fixture weight and the need to focus the fixtures manually. 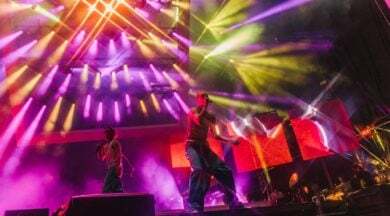 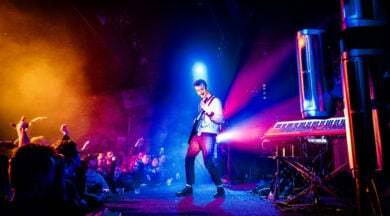 Why would a lighting designer want to deal with this hassle when a moving head solution exists that’s lighter, has lower power demand (replacing a 6,000-watt HMI with a 2,750-watt LED unit that has a luminous flux of 100,000 lumens), and is far more versatile (and fully controllable from the lighting desk)? 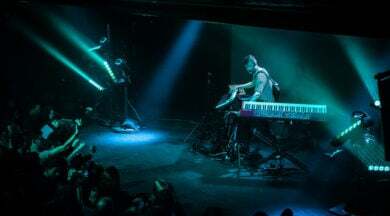 Dimitri Vassiliu: I like to play around with the nine rings of LED emitters to create certain effects and modulate the output – being careful not to blind anybody but still lighting them well. 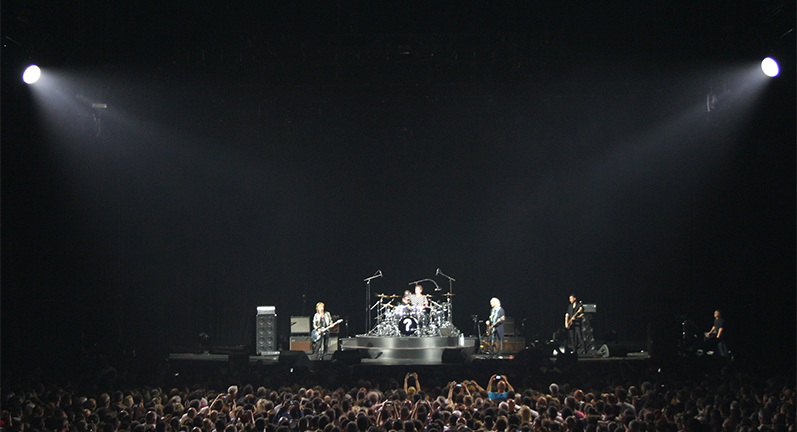 The zoom is useful, although, given the confines of the Zenith in Paris, I couldn’t quite cover the entire room. 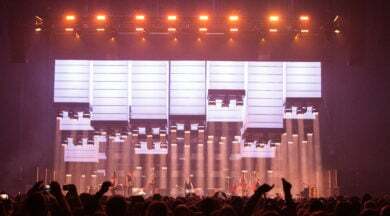 It should work better in arenas in the upcoming weeks. 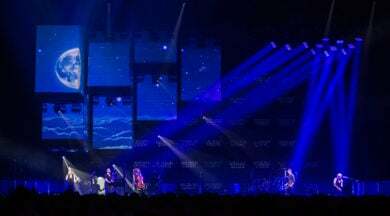 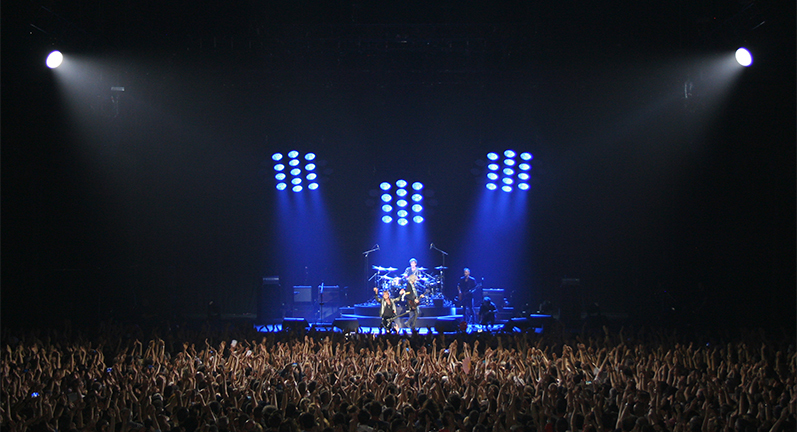 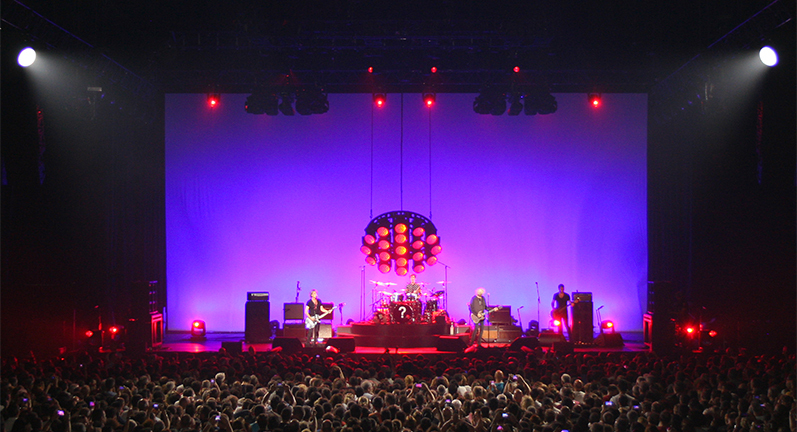 The WildSun™K25 luminaires are deftly used to illuminate an audience eager to see and be seen by its cult band, but they don’t actually have the K25s on the stage – since the designer considers that concept a little too “garage”. 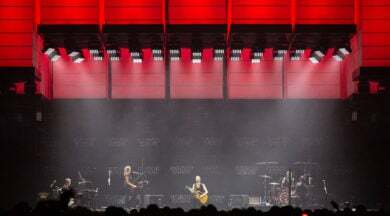 The near-perfect white of the Ayrton WildSun™K25 (with excellent applications for video), is used splendidly here. 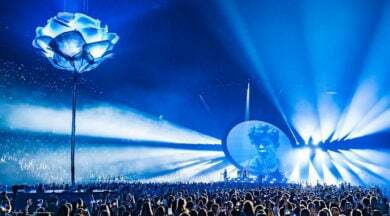 This success suggests that we are going to be seeing a lot more of these big LED luminaires on French stages, arenas and stadiums soon.